Conservation is a never-ending struggle to secure the integrity of ecological habitats, and the preservation of the species dwelling in them. Preventing the extinction of species threatened by it is one of conservation’s major aims. The extinctions of the Dodo, the Tasmanian tiger and the Passenger Pigeon have left an indelible imprint on the minds of all and sundry. Attempts have sometimes been made to describe the tragedy which the “endlings” or the last members of these species represented. However, given the ever-increasing rate of biodiversity loss, trying to fathom the tragedy which endlings represent has become an almost farcical affair-which is somewhat representative of wildlife conservation as a whole. But is conservation really doomed to fail? And why is it such a difficult endeavour? In his aptly named book “The Age of Endlings”, investigative journalist Jay Mazoomdaar takes an in-depth look at the various issues confronting wildlife conservation, and tries to untangle the twisted skein of vested interests created by the powers that be, which makes preventing the tragedy of the endling even harder. 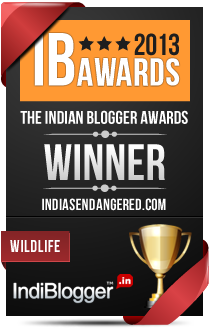 The author is an investigative journalist of immense experience and courage, and was the first to highlight the sudden disappearance of tigers from Rajasthan’s Sariska Tiger Reserve in 2005. Over the years, his journeys have taken him from the arid deserts of the Thar and the ravaged once-pristine badlands of the Chambal valley,to the moist deciduous forests of Northern Assam, which now exist only on paper after decades of politically motivated over exploitation. The book is divided into two parts-the first part, named “explorations” highlights the author’s personal experiences while visiting the various parts of India. The first chapter is unarguably the most captivating-the author travels to the remote villages of the Thar desert to look for a snake which is believed by locals as being capable of killing people merely by the use of its poisonous breath!!! During his trips to the desert, the author encounters witch doctors who are fleecing gullible villagers based on the myth, ZSI personnel who frequently misidentify snakes and dedicated doctors whose theories ultimately allow the author to get to the bottom of the mystery. In this section, the author also talks of the historic decision taken by the Dongria Kondh-dominated village councils of Odisha’s Niyamgiri Hills to reject Vedanta’s plans of mining bauxite from their homeland. The decision-making process managed to overcome several hurdles created by the authorities and others with vested interests. A number of controversial issues are also dealt with, such as culling and the release into the wild of hand-reared carnivores.Lofty arguments appealing to idle sentimentalism are dismissed by the author, and rightfully so; he is correct in saying that the traditional tolerance of India’s forest dwellers for wildlife should not be betrayed if conservation is to be effective. However, the author misses an excellent opportunity here to highlight how out of touch urban wildlifers are with ground realities, and how socio-economic differences between the former and those affected most by wildlife conservation are responsible for this. This section is concluded with the chapter “The Age of Endlings” which highlights the tiger-centric nature of conservation; this has caused the conservation of the even more endangered Great Indian Bustard and the Jerdon’s Courser, among others, to be neglected. The chapter thus demonstrates how poorly-planned conservation too is responsible for ushering in the unfathomable tragedy of the endling. However, the author himself neglects to talk at length about the conservation of these species; most of the chapters, especially in the latter parts of the book, deal with tiger conservation. The second section, titled “Investigations”, deals with a number of stories which the author has worked on over the years. The topics delved into are diverse, with several dealing with the conducting of various surveys by the Forest Department. While debates over the actual populations of tigers and other wildlife species continue to rage on, the author looks beyond the headlines to highlight the key issues once again. Here too, bureaucratic in-transparency, unaccountability and incompetence characterised by the adoption of unscientific methods and the generation of data which cannot be acted upon are highlighted. The chapters themselves are written in a crisp, direct style, and the tales of the North Bank’s missing forests and the mutilation of Sariska make for extremely poignant reading. However, this section of the book would’ve been better rounded if the author had also highlighted instances of conservation successes. Readers interested in contributing to wildlife conservation would then have had a better idea of what to ask for from the competent authorities. One of the best things about the book is its focus on the lesser-known wildernesses. 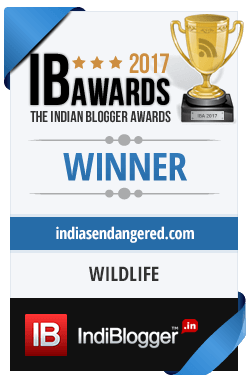 Normally, conservation articles tend to focus on the Ranthambhores and the Corbetts, and thus the author’s scrutinisation of the tragedies unfolding in remote Assam, the Chambal badlands and Naxal-infested Indravati provide a well-rounded perspective of the Indian wildlife scenario. The reader also gets an excellent understanding of the culture of red tape, unaccountability and general apathy which confronts the tenacious investigator. It is as if the very pages of the book are calling out for a drastic systemic overhaul. Controversies and the sombre nature nothwithstanding, unless conservation as a whole delves into the depths of key issues without falling prey to parochialism or idle sentimentalism, as suggested by the author, the Age of Endlings will give way to the Age of Extinctions.